The retail prices of fuel have been increased with effect from midnight today based on the fuel pricing formula, the Finance Ministry said. Petrol (Octane 92) will be increased by Rs.6 a litre and the revised price is Rs.129, Petrol (Octane 95) will now be sold at Rs.152, after an increase by Rs.5 a litre. The price of diesel should have to been increased by Rs 9.59 in keeping with the latest global market price of crude oil, the Ministry said. However, one litre of Auto Diesel will be increased by Rs.4 and the new price would be Rs.103, while one litre of Super Diesel will be increased by Rs. 8 and the new price would be Rs.126. However, the price of Lanka Kerosene will remain at Rs. 70 per litre. Despite the fuel price revision, the ministry said there would be no increases in transport charges. Meanwhile, the Finance Ministry said fuel prices were reviewed on the 10th of every month under the fuel pricing mechanism introduced in May 2018. 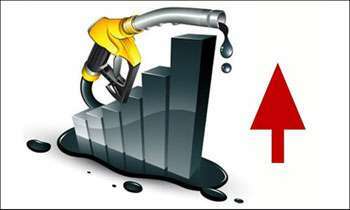 When the oil prices were upwardly revised last on October 10, the price of a barrel of crude oil had gone up to US Dollar 84. It came down to USD 70 by November 2018 and it was reported to be 53 when the fuel prices were last reduced on January 10, 2019. When the fuel prices were increased for the first time in May 2018 under the pricing formula the local selling price of Petrol was Rs 137 per liter and by now it has come down to Rs 129 per liter. The Diesel price which was at Rs 129 per litre in May 2018 has today has come down to Rs 103 a liter. However, unfortunately the bus fare, three wheeler fare and other transport charges were unreasonably increased higher percentage than the fuel price revision. If you referring to the change on October 26th, you can't change your father because he is not taking care of you but your mother can divorce him with the correct legal procedure. CAN'T understand, WHAT warranted a price hike in Fuel !??? No significant upwards price movement in world crude oil prices!!! In order to align with the conditions that is required to obtain further loans our country needs to disclose our revenue. Since it is not obtained by exports they increase our taxes and other items. I don't understand a damn thing this government does !!! Are these fellows crazy or what ? These idiots made a big hue and cry when the price was slightly reduced a month ago. This is the final result,adding more burdens on the people while they make merry. MR should come back to reduce the prices. Fuel should be adjusted daily not monthly so the changes will be minimal and painfree for everyone Why SL is decades behind adopting some of the benchmarks in the world?? This is a correct move by the government and the minister. The price of crude has risen in the last few weeks. We have to at least now learn to pay for what we get. The media should make the people aware of this fact. The negative side is that the government is not disclosing the method of fuel price calculation. Please do so. The Government may lose the provincial council, parliamentary elections and the Presidential election due to Mangala for sure. I cannot believe why the gas prices are high in SL. In USA one gallon of gas is $2.10 and five pounds of sugar is $1.50 why they can do this in SL. People are concern about religion than human dignity.